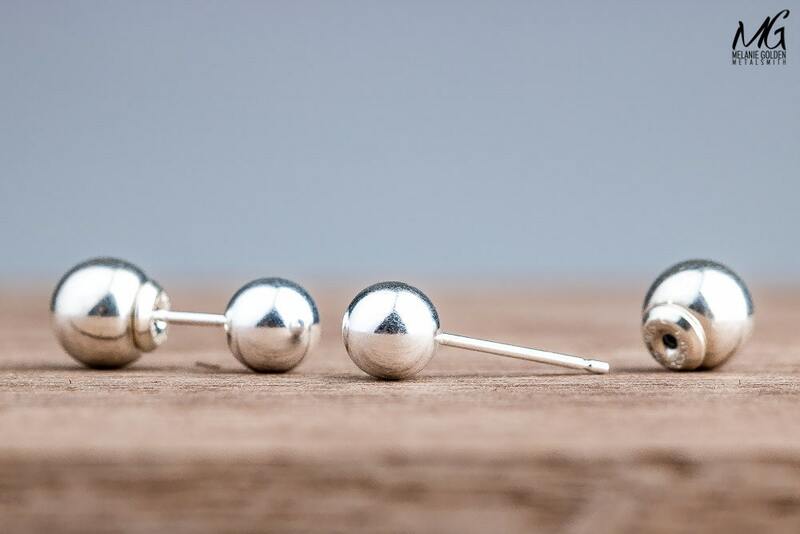 I created these double sided ball earrings from solid Sterling Silver. 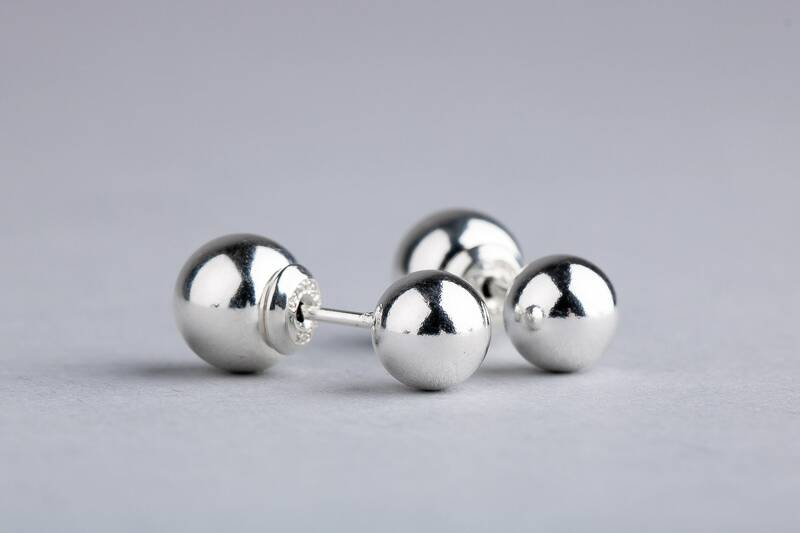 These earrings are simple, classic, and modern and are great for everyday wear and for multiple piercings. 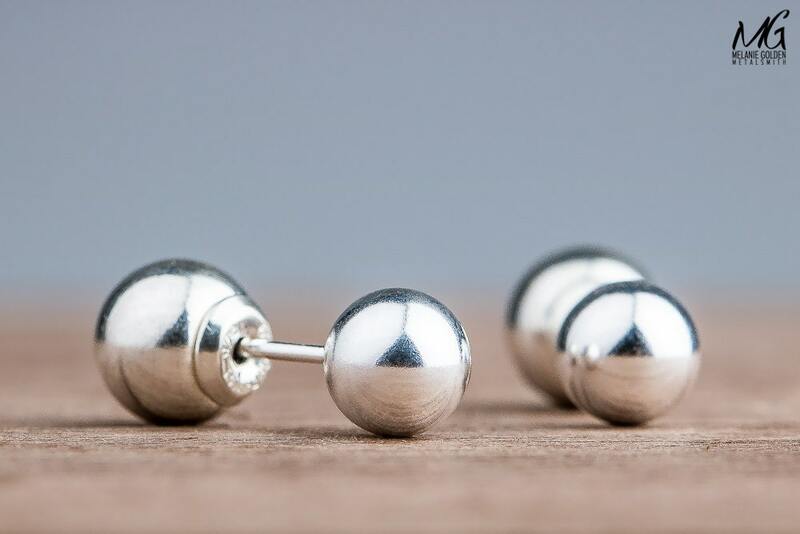 These earrings are tiny, shiny, and perfect for a minimal look. 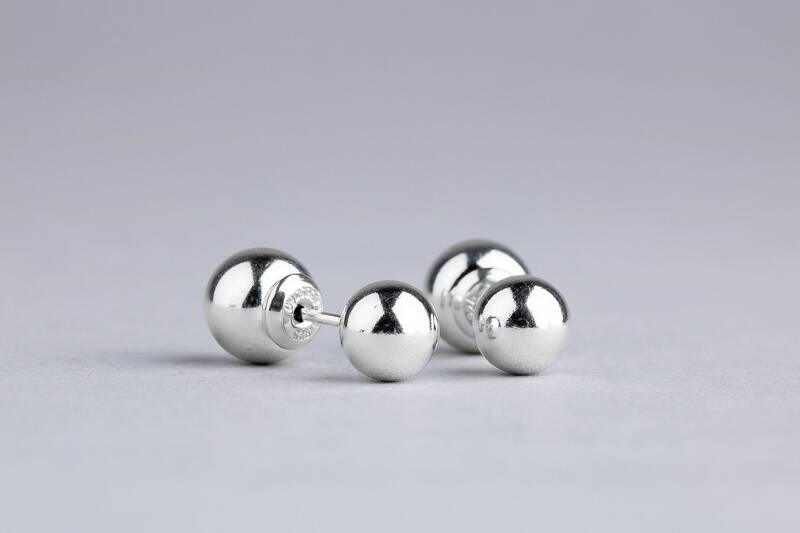 The friction style earring posts (also known as "studs") feature a groove that helps provide maximum hold on the earring back. 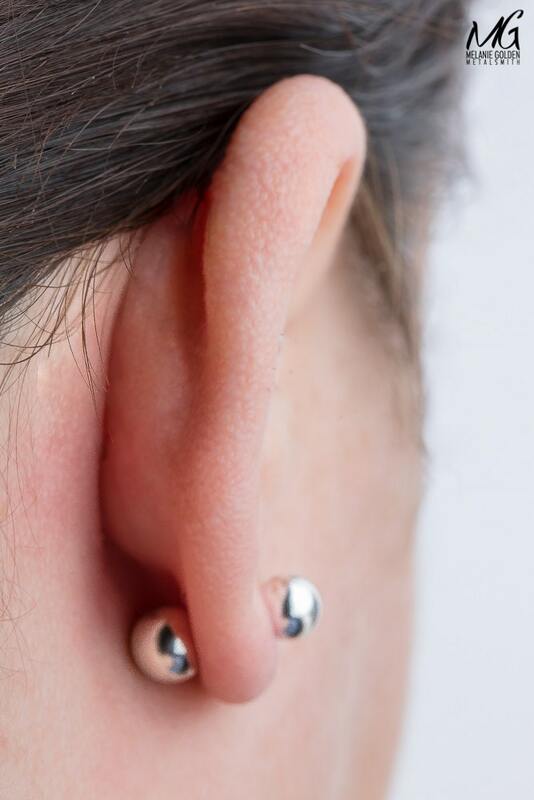 Earring Backs: Featuring a spring-ratchet internal locking mechanism, these earring backs lock onto the notch on the post with an audible "click," A safety feature within the mechanism releases the post to prevent injury should the earring be caught in clothing or otherwise forcefully tugged. 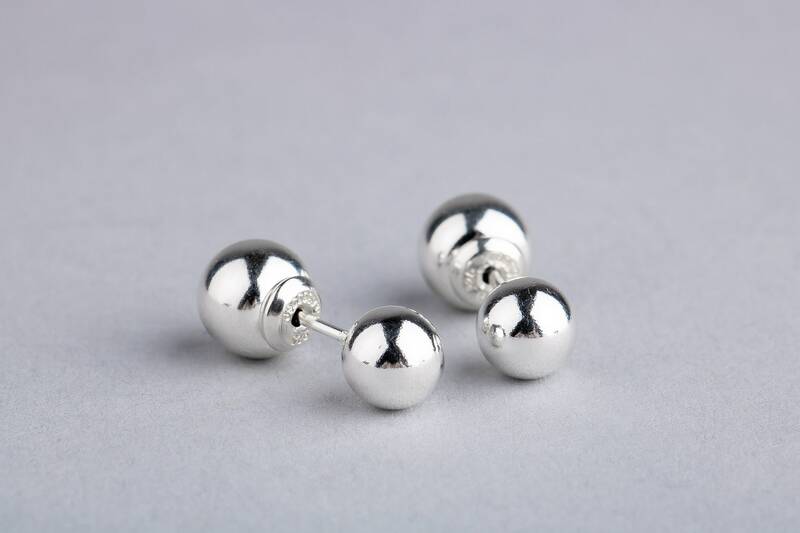 - Front earring balls measure 6mm. 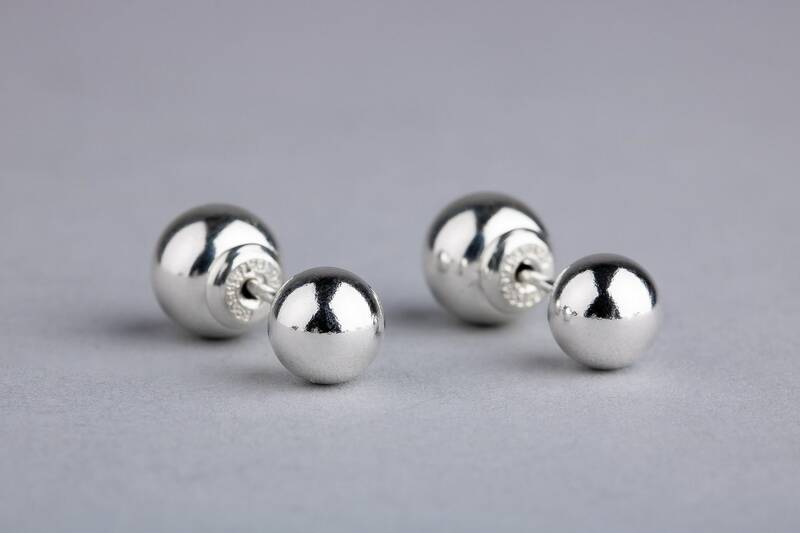 - Back earring ball clutches measure 7mm. These are incredible! 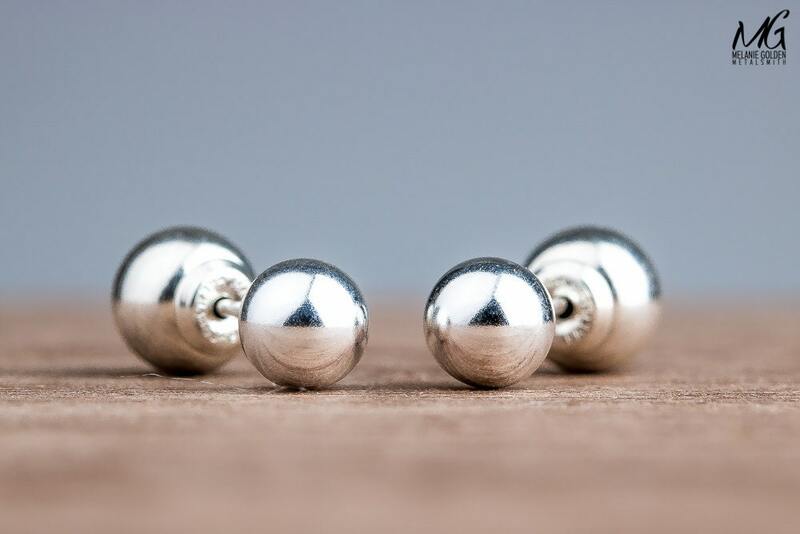 So comfortable and will brighten up your face as soon as you put them on. 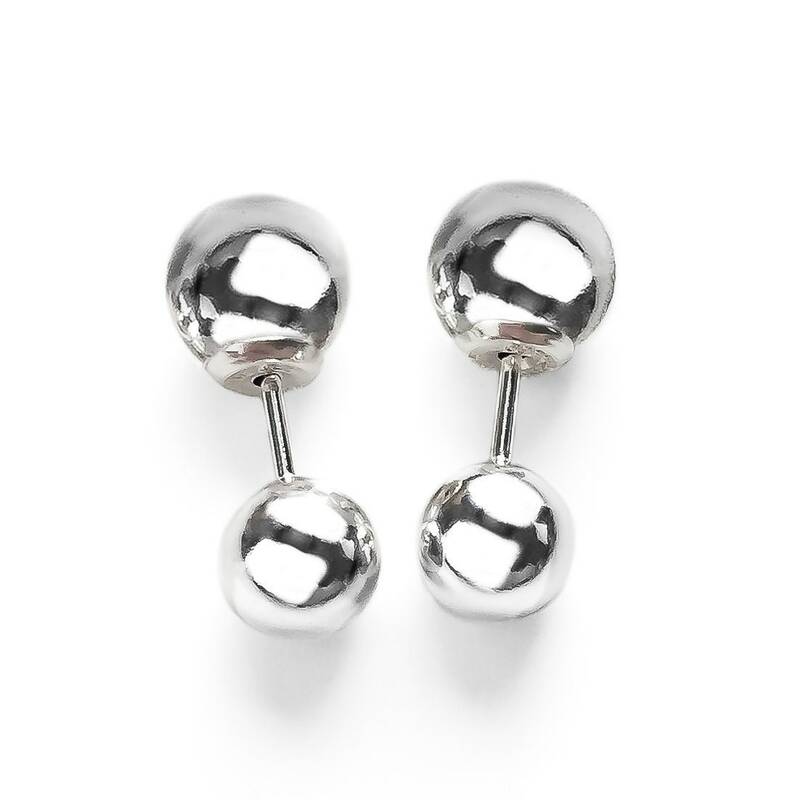 This is the 2nd pair I purchased as a gift for my mom. I put these on the day they arrived and haven't taken them off yet!! Super comfortable to wear. Love the look with my pixie haircut!